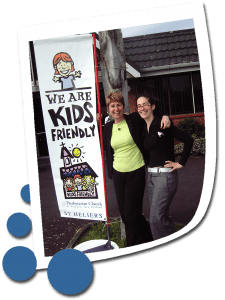 KIDS FRIENDLY is the Presbyterian Church of Aotearoa New Zealand’s response to findings of AC Neilsen research “Attracting New Zealanders to spiritual life ” (2002). The research, involving 40 participants (28 parents of children age 0-16 years and 12 children) not currently attending a church, but expressing an interest in “spirituality” and having some understanding of Christianity, revealed some negative perceptions of church (creating barriers to participation in traditional Sunday “services”), but interest in participating in church-led community activities. Some participants also expressed an open-ness to participating in a church service/event that all the family can enjoy, preferably on a different day than Sunday, which is largely perceived as a day for relaxation and recreation. 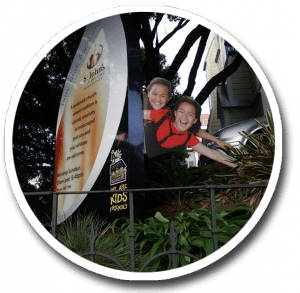 The Presbyterian Church of Aotearoa New Zealand recognises the vital contribution children and families make to healthy congregations and established the Kids Friendly initiative (and office) to “coach” churches to intentionally minister to children and families in their communities (church going and non-church going). The Kids Friendly Coaches provide best practice resources, advice, encouragement, training and coaching. We encourage all Presbyterian and Uniting churches to join the Kids Friendly Network by signing up to receive our KIDS FRIENDLY E-NEWS of resources, training events, etc. The Kids Friendly Coaches offer advice, coaching and training, resourcing to all Presbyterian and Uniting churches. If your church would like to know more about becoming a “Kids Friendly Church” see Working to become a Kids Friendly Church or contact Robin Humphreys, National Kids Friendly Coach or Cheryl Harray, Kids Friendly Advisor for the Southern Presbyterians to find out more. Being “Kids Friendly” is a journey, not a destination.